Last year I hit a pretty significant milestone in my life, ticking off something that often finds its way on those “100 things to do before you die” lists. I wrote a first draft of a novel (well, four chapters short of the finish line but I’m working on that last bit, I promise!). Writing a novel was something that I always wanted to do but never got further than the first few chapters before I doubted myself or found an excuse not to carry on. Then in September last year I discovered National Novel Writing Month (NaNoWriMo) a community website built around a challenge to write a 50,000 word novel through November. Writing that down – even after I’ve passed the finish line – feels daunting and borderline impossible. 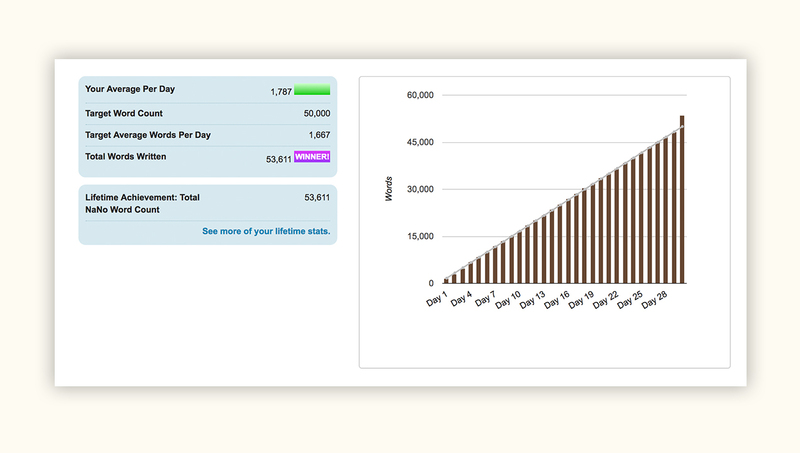 The magic of NaNoWriMo is how it broke down the scary number to just 1,667 words a day, which I broke down into even more manageable 500 word sprint sessions. So I put in the hours, and even though by the end of the month I was only capable of doing 100 word sprints I finished NaNoWriMo with 53,611 words. I even think some of those 53,611 words might not be that bad. So where am I going with this? Well, somewhere within all those words I got to learn a few things about storytelling. Great stories are what draw me to films, TV series, video games, and even music. It’s the first thing I critique when I watch something new (don’t ask me about the latest Star Wars film.) There are however, many elements to telling a great story, believable dialogue, carefully crafted act structures, tension and release, rounded characters, etc. 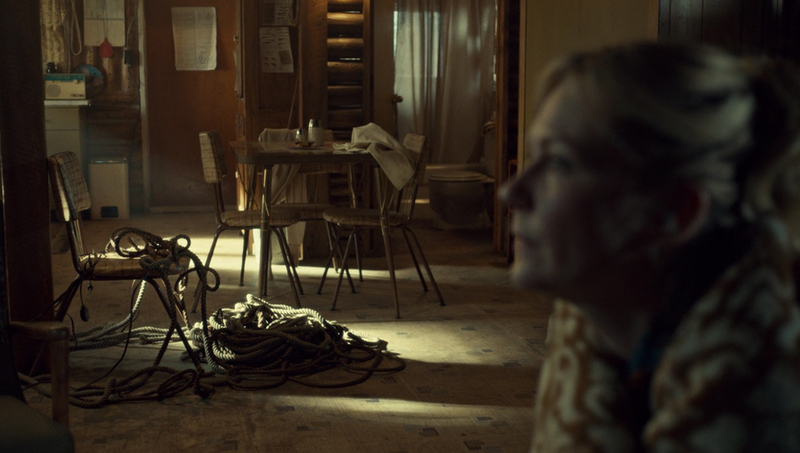 I’ve recently been catching up on the fantastic Fargo TV series on Netflix and there was a brilliant storytelling moment in episode 8 of season 2 that has really stuck in my mind (Minor spoiler warning ahead!). Peggy, a protagonist in the story has taken an antagonist hostage in a secluded mountain hut. Peggy is watching a black and white film on the TV. As she sits on the edge of the bed the camera pulls forward drawing us, the viewer, into her perspective. The camera then flips to show her view of the TV and pulls forward again, this time right into the TV itself and we watch the film play out as two lovers desperately attempt to escape from an attacker. Suddenly the camera cuts to a side view of Peggy on the bed, but the antagonist has gone. A moment later Peggy catches up and realises herself almost as a reaction to us shouting at the TV at her. The way this scene plays out is brilliant. We are all Peggy getting distracted by a movie in that moment. We all let the antagonist escape. All of this is done by the edit, the cinematography, the soundtrack, and the script coming together. They could have easily told us the same story from the antagonist’s point of view, or just focused on Peggy and skipped the movie playing on the TV, but would we have been as invested in the escape, or feel like we played a part in letting him go? There is something beautiful in taking the time to tell a story in a way that made us feel completely connected to it. A screenshot from Fargo Season 2. It’s this type of storytelling that we should be striving to tell in the experiences we design. How does the way we present a design to our users make them feel? How does the way we teach our users to use our products, connect with them? I’m trying to include this obsession with stories into my own designs. Are there ways to connect with a user in how the UI is laid out? When is the right time to show a user how to use an advanced feature, or present them that important buy now button? Every interaction with technology is a story being told. It’s how we choose to tell those stories that makes great user experiences.